It’s estimated that 21% of all Michigan drivers do not have the no-fault insurance required that’s required by law. If you’re unfortunately in a car crash, this means you have a 1 in 5 chance of being unable to get full compensation for your injuries from the at-fault driver. The general rule under Michigan no-fault law is that persons injured in motor vehicle accidents are entitled to recover certain no-fault PIP benefits from their own insurance carrier, regardless of who was at fault for the collision. In addition, injured persons may be able to bring a claim against the at-fault driver and that driver’s insurer for damages sustained in excess of the statutory caps on PIP benefits. Injured persons may also be able to make a claim against the at-fault driver for pain and suffering damages. However, if the at-fault driver does not have the required Michigan no-fault insurance, an injured person may be without any recourse for collecting damages in excess of the PIP benefits from his or her own auto insurer. So how do Michigan drivers protect themselves? By purchasing uninsured motorist coverage. Uninsured motorist coverage is optional insurance that is relatively inexpensive and highly recommended. Uninsured motorist coverage is a way for drivers to ensure they will be fully compensated for any injuries they sustain in an accident as the result of another person’s negligence. If an injured person’s auto insurance policy includes uninsured motorist coverage, and if the injury was caused by an uninsured driver, the injured person will be able to assert a liability claim directly against his or her own insurance company, which will “stand in the shoes of” the negligent driver who did not have any insurance. With an uninsured motorist policy, the injured person will be able to recover noneconomic damages and excess economic damages up to the limits of his or her uninsured coverage. 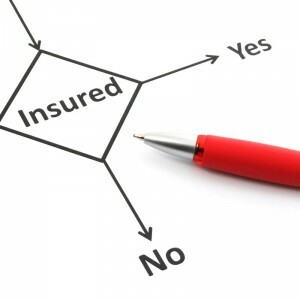 If the injured person did not purchase uninsured motorist coverage but was a passenger in a vehicle that was covered by uninsured motorist coverage, the injured person may be covered under that policy. Note that uninsured motorist coverage operates much like underinsured motorist coverage, which comes into play when the other driver does have insurance, but it’s insufficient to fully compensate the victim for his or her injuries. In this video, Grand Rapids personal injury lawyer Tom Sinas details how uninsured motorist coverage works.